Genoinseq presented the platform ExomeLoupe at the annual meeting of the American Society of Human Genetics – ASHG2018. This meeting gathers genetics specialists from around the world. ASHG2018 took place in San Diego, USA, on October 16-20. ExomeLoupe is an intuitive and user-friendly Windows platform to help researchers identify causal genetic variants in a GDPR-secure environment. 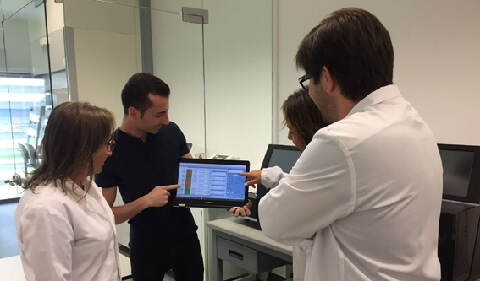 The platform was developed in the framework of the In2Genome project, a multidisciplinary project to integrate whole exome sequencing in the clinical practice routine.